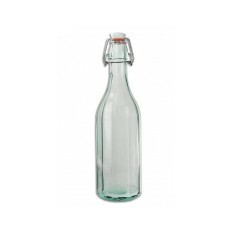 Need something to store refreshments in for your next meeting? 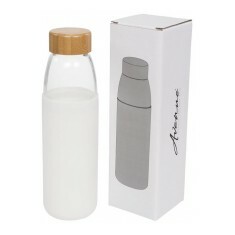 Our promotional Reusable Water Bottles offer the best solution. 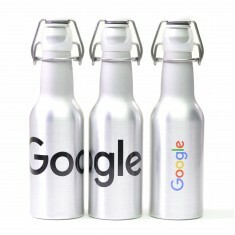 Custom printed reusable water bottles are great for keeping your branding in front of customers at events or conferences. 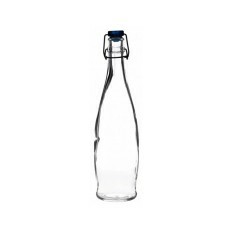 Due to our range of personalised reusable water bottles being made from glass, they are high quality items that can be either laser engraved or printed depending on your preference. 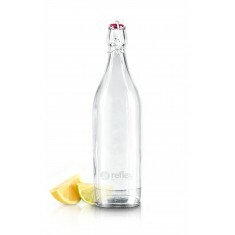 Branded reusable water bottles are an excellent way to put your brand on display every time customers reach for a drink. 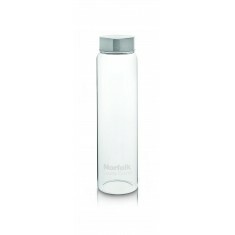 Need a classic conference reusable water bottle? 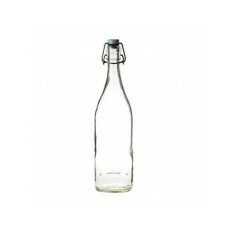 Try out our Curved Large Swing Top Bottle - 1 Litre to quench your thirst. 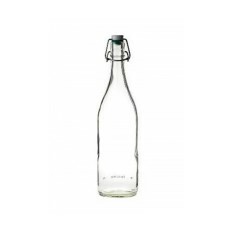 However, if you want to break the mould then our Kolding Glass Reusable Bottle is the way to go. 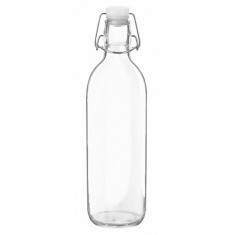 Its Scandinavian design and innovative ridge-free fastening mean it is perfect for keeping your guests refreshed and free of any germs. 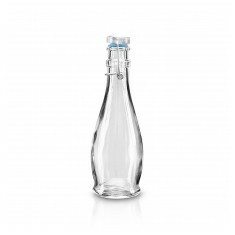 With three different options, this bottle is ideal for both internal promotions to encourage getting your daily intake of water or as a conference room bottle to keep your guests hydrated. Want to get an idea of what it will look like with your design on it? Give our sales team a call and we will arrange free of charge visuals for you. Rubber cap. Toughened glass. Scandinavian design. Wide range of lid colours. Screw top. 6 cap colour choices. 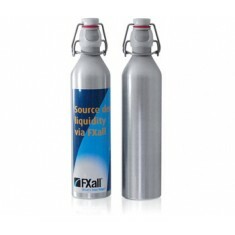 Suitable for carbonated and non-carbonated drinks. Compact size. Blue or red stopper. Inverted engraved for durable finish. 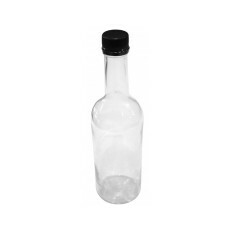 Square shaped bottle. Produced in Italy. Plastic stopper. Branded via engraving. Ceramic stopper. Blue or green washer. 500ml capacity. Clear glass finish. Contoured design. Blue or red stopper. Smaller version available. Polished glass finish. White ceramic top. 24 carat gold branding available. Red washer, white stopper. Personalised via inverted engraving to 1 side. Screw top opening. 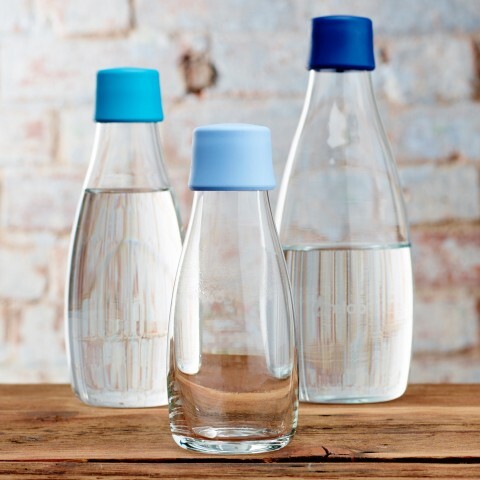 Carbonated or non-carbonated drinks. 6 cap colour choices. Part recycled aluminium material. 100% recyclable. UK made. Printed full colour. Curvaceous design. Swing top. Engraved or printed designs available. Inverted engraved as standard. 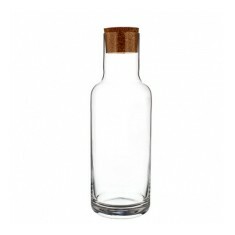 Bottle or bottle & glasses available. 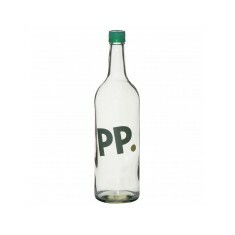 Premium personalised bottle. High quality metal lid. Entirely smooth bottom. Laser engraved for premium finish. 500ml Capacity. Widely customisable. Neoprene pouch to keep drinks cool. Sleek and modern design. 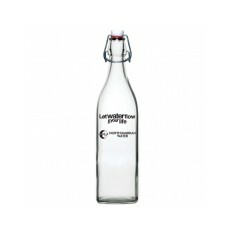 1 Litre Wide Bottle. Supplied with a white washer and white lid. Supplied bulk packed in 6's. 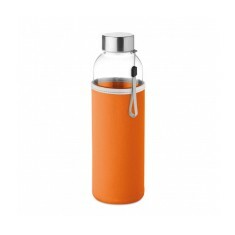 Never get dehydrated on the move with our customised 350ml Swing Top Aluminium..
Glass with coloured silicone sleeve. Non slip base. Screw on lid.